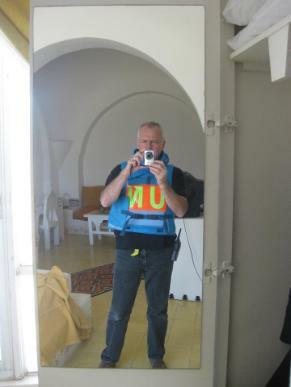 Professor of Digital Learning John Traxler, is working with The United Nations Relief and Works Agency for Palestine (UNRWA) to support education efforts where schools are running within areas of conflict. Here, he recounts one of many experiences working in these conditions. Over the last three years I have undertaken several ‘missions’, basically acting as an external expert consultant, for UNRWA, the UN agency responsible for the health and education of 500,000 Palestinian refugee children, and their families, scattered in towns and camps in Jordan, Lebanon, West Bank, Gaza and Syria. UNRWA represents a stark paradox, running a vast school system, with all the ordinary activities of recruiting, training, deploying and promoting teachers, of developing the curriculum, the resources and the schools, and administering attendance, examinations, welfare, concerts and sports days amidst the extraordinary environment that includes air strikes, insurgency, roads blocks, security checks, militia intervention and civilian unrest. This paradox is difficult to absorb and so perhaps the easiest way to understand it is to present just one episode, a couple of days’ work in Gaza. We drove from Jordan through southern Israel across a network of modern motorways in a regular UN saloon to the crossing point into Gaza. 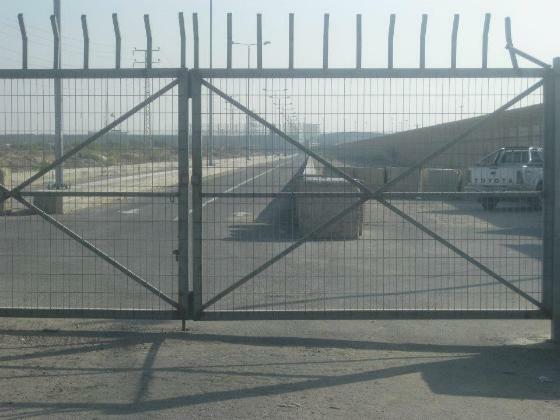 What seemed surreal - not the only thing - was the Israeli border and security personnel. They were all young, tanned, stylish and lithe, kitted out with cute sub-machine guns and carefully coordinated black polo shirts and matching slacks, in a check-point that resembled a newly built, newly abandoned airport terminal built into a replica of the Berlin Wall. We were processed by them in a succession of short queues, the only travellers in an otherwise empty shell of a building. After the fences and gates, the concrete and the wire, we were suddenly in the backstreets of Gaza City, a sudden transition from the modern to the medieval, after the chinos and cappuccino of Israel, driving past donkeys, bomb sites and derelict shops. The hotel, reached half an hour later, was absolutely idyllic, vaguely old Moroccan, with a veranda across the sea and bomb-proof windows. We went straight to a security briefing after checking in. It lasted two hours. Part of it entailed issuing and explaining flak jackets, blue UN helmets and daily radio check-ins. We were briefed about which government departments were still in the hands of Fatah and which had succumbed to Hamas. One of the latter was internal security and consequently street crime and petty theft were non-existent - ‘Hamas run a pretty tight ship’ we were told - but on the other hand kidnappings were frequent though usually only lasted the weekend. We were only to be allowed out of the hotel in hardened vehicles and outside the city were to travel in a convoy. Every evening, at the hotel, one could have supper on the veranda facing out across the Mediterranean. The food was apparently often smuggled in through tunnels but the branding revealed most of it to be Israeli. Several specialist waiters, responsible to maintaining smokers on their scented humbly-bubblies, provided a floor show of pyrotechnics using handheld braziers. The skyline out to sea was dotted with small colourful fishing boats. Further out were Israeli gunboats enforcing a 5km blockade and arresting or sinking any transgressors. There was a small book display in the foyer. Every time I passed through my eyes lighted on, ‘The Media Relations Department of Hezbollah Wishes You a Happy Birthday’, a surreal book to sell in a Hamas stronghold. The next morning, I started my scoping visit, first by visiting two junior schools. 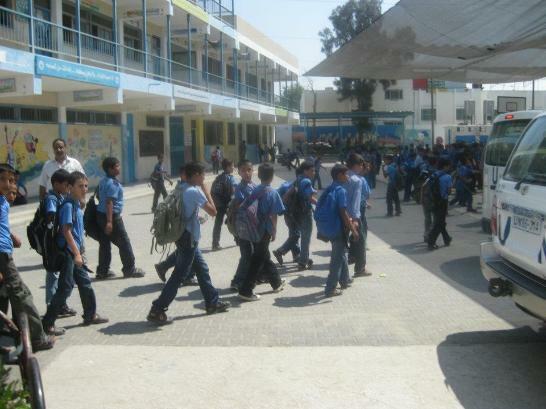 Owing to over-crowding most UNRWA schools work two shifts, swapping over at lunch-time. Otherwise it was just an unsurprising normal scene of noisy kids and harassed teachers rushing from room to room. Apart from the customary bitter coffee and dates with the school head and his team, we were shown how the school had its own website and Facebook page, and used SMS to contact parents and check up on absentees. 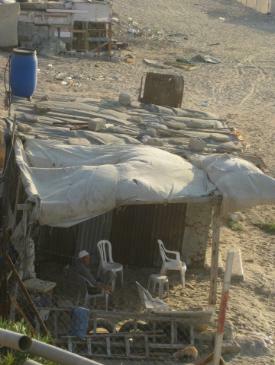 UNRWA statistics show much malnutrition and many families classified in ‘abject poverty’. In the second school, we looked at the computer lab and watched a computer-aided learning session. This was not the usual western pattern of individual work on a computer. No, the teacher orchestrated the class through a small PA and the teaching assistant jumped on any child who hadn’t pressed the right key promptly. Later I talked to the team developing the computer-based games for maths and Arabic and they explained their difficulty maintaining the appropriate level of fun, too much apparently being a bad thing. Next was a trip down to Khan Younis, to the TVET centre and another school. The TVET centre, delivering technical and vocational training, was unfortunately sited between a training camp for Islamic Jihad and one for Hamas, and sadly was occasionally caught between in internecine gunfire. Someone remarked only one person had been killed that day, a teenager in the north, but pointed out that if militia keeping losing off rounds into the air, they are going to come down somewhere and inevitably people get hit. The staff however were enthusiastic and we drank bitter Arab coffee whilst talking about trainees’ digital habits and employment prospects. Gaza has few natural resources, and the Israeli blockade and air strikes had severely damaged the economy and the infrastructure but nevertheless several IT start-ups are marketing and selling overseas across the Arab region and winning prizes as entrepreneurs. The school down at Khan Younis was again a hive of noisy activity with kids playing football. We were shown around new school premises, in brilliant UN white and blue, amidst block after block of bombed flats and cratered roads. Our team spent the evening on the balmy sea-front terrace poring over spreadsheets of progression, attendance, class sizes and test results, whilst the locals let off endless fireworks, unsettling us with its resemblance to gun-fire but they liked it. The following morning, we left the hotel at about 6am and headed back to the border crossing back into Israel. We could leave. They couldn’t.